Starting with Marsilio Ficino philosophy of astronomical spirits and magic through Orphic hymns, he first gives an overview of Ficino’s beliefs, then summarizes Ficino’s pro-magic sympathizers from Trithemius and Agrippa to Pomponazzi and Giorgi, and the counterarguments of Pico, Wier, Erastus, d’Etaples, and Dio Rio (among others). 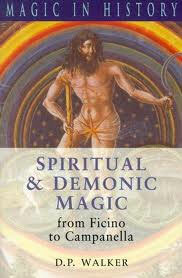 The second part of the book deals primarily with Telesio and his supporters including a discussion on Tommaso Campanella’s view of magic and spirits. The book does a wonderful job of portraying the interconnectivity of Renaissance thought such as medicine and music with the magical philosophies that were developing throughout the 15th-17th centuries.